The draws have been made for this season's competitions and can be downloaded here. The League is pleased to announce and publish the final divisional composition for season 2018-2019 - see here. As previously advised, the League Management Committee has now fully discussed the remaining number of matches that each team has to play this season. As a result, it has been decided that, subject to on-going favourable weather conditions, League Challenge Trophy competitions will be introduced at this stage at all age-groups. Matches will start as from Sunday 11th March 2018. The League’s objective is to maximise football for all teams, and we believe and trust that the introduction of the above competitions will be welcomed by all member clubs. The Committee has considered each age-group separately and then considered each team within that age-group. Not all teams in each age-group have been sanctioned to enter. This is based on the number of League and other games each team has still to complete and the number of free weeks left in the season. This is the final decision and cannot be appealed as entry is by invitation only. The fully sanctioned draw is here. The terms and conditions of playing are as set by the Management Committee, in accordance with Rules. Full details will be sent out shortly but, in summary, each team will play the other in their ‘Group’ (home or away at the sole discretion of the League Fixture Secretary) – with progression to the next knock-out rounds. These knock-out rounds will be played and extra time and penalties, where necessary, decide the winners (except in the final tie where no extra time will be played and penalties, where necessary, will decide the winners). If weather conditions deteriorate further in the coming weeks then, under Rules, the Management Committee reserve the right to cancel any of the competition age-groups or to withdraw any team or teams from the competition at its sole discretion. This decision, if taken, is final and binding. League and League Challenge Cup matches will always take precedence in this decision process. 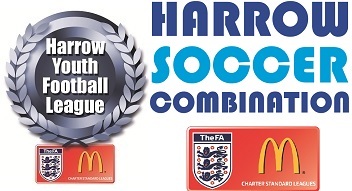 The Harrow Youth Football League has released the make up of its divisions for the 2017-18 Season. The season kicks off on Sunday 10th September.